Sophie is turning 2 months in 10 days. 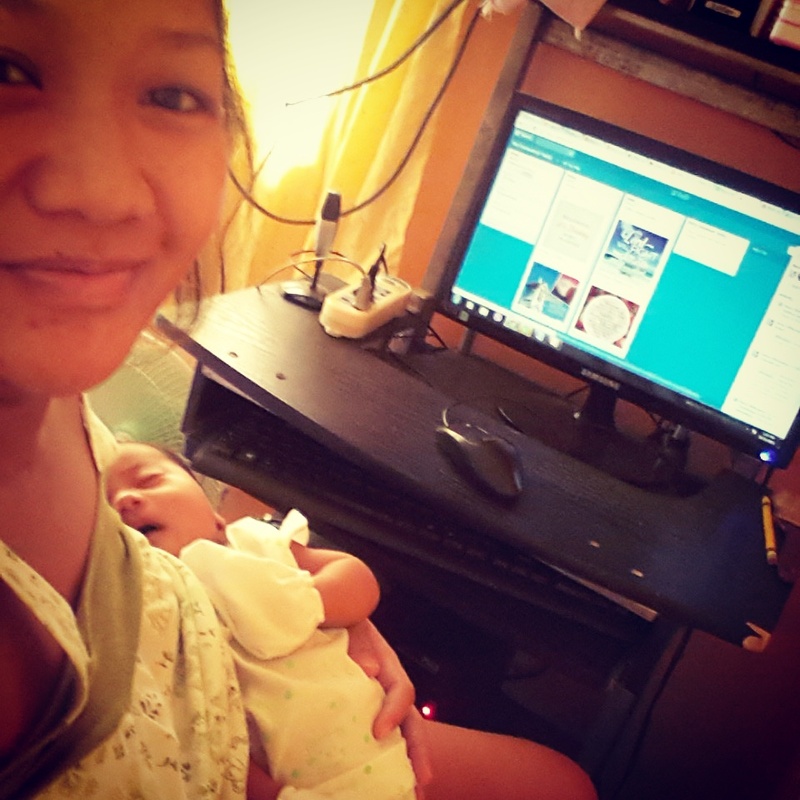 Diaper changing and breastmilk-drench clothes has become part of our daily lives. She has grown a lot in span of 2 months. Heavier. Chubbier cheeks. She also started to establish routines of sleep, play and feeding. While I am catching up with my online work last night, she was half-asleep by my side. I have already fed her, changed diaper and ensured that she wears comfy clothes. I smiled as I watch her sleep. Though I noticed that she looks uneasy. She seems to be “tossing herself to sleep”. It was already pass midnight. I turned of my laptop and lied next to her. Instantly, signs of restlessness stopped. It was a moment I realized that this little girl’s life revolves around me. She is totally dependent to me. When I lied next to her, she recognized my presence. She recognized my warmth. A warmth she equates to security and peace. A warmth she understands as care. She knows that as long as that warmth is beside her she will not grow hungry. She will not have to endure the ecky feeling of wet diapers. She doesn’t have to worry about the cold. Sometimes, I feel guilty of not giving her that much attention while I am working. I may have held her hand while doing my researches. She may be sleeping on my lap while I am processing images. But I am not really there because my attention is not fully unto her. 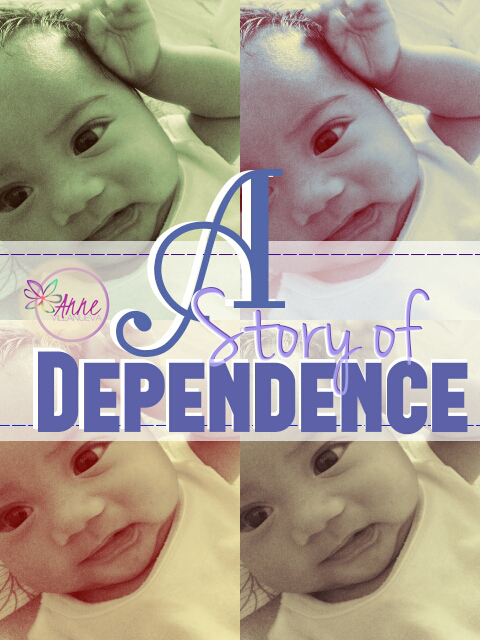 I am becoming dependent to my little one, too. That’s a secret. Lesser crying moments and smiles are becoming a security and pride that I am doing a good job. That’s cute to read but I know I could use some counseling, a good advice to change that mindset of mine. I know that pride and security thing can hurt my parenting. Tendencies of racing a spoiled brat? Uh-oh! Shall we just ignore those signs of approval from our little ones? Of course not. Those precious moments are treasure. A true delight for a parent. We just have to re-establish where our pride and security should come from. Delight yourself in the LORD and he will give you the desires of your heart. Commit your way to the LORD; trust in him. An advice that never goes old and still applicable even if our season of life has changed. If you read the chapter a bit further, you will learn that delighting in God, dependency on Him comes with a promise that He himself will do for you. My prayer is for God to reteach me to refocus my heart and mind unto Him. To my faith be like a child again, to have that total dependency unto Him. I know as I delight in Him, as I trust Him; He will transform me to a mom who’s best for Sophie. Amen. This entry was posted in Home by anne. Bookmark the permalink.